London: Haryana Chief Minister Manohar Lal Khattar held wide-ranging talks on healthcare with top officials of Britain’s state-funded National Health Service soon after his arrival in the UK. Khattar arrived here with a high-level delegation from Israel on a four-day tour. He met Under Secretary of the National Health Service (NHS) in his office and discussed the funding model of the public health service. Khattar also noted the game-changing IT initiatives taken by the UK government to ensure “flawless implementation”, a state government statement said. 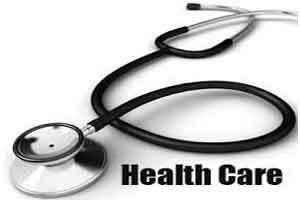 He took active interest in minute details of the NHS to cope with the challenges that might arise following implementation of the Comprehensive Cashless Healthcare Assurance scheme to be implemented by the Haryana government in the state, according to the statement. Khattar and his delegation were then hosted for lunch by leading NRI entrepreneur Lord Swraj Paul at House of Lords. “My heart lies in the state of Haryana and it is a pleasure to host the chief minister today,” Lord Paul said. A Smart Cities roundtable, a meeting with Transport for London officials and talks around Hissar’s emerging status as an aviation hub are among the other events on Khattar’s agenda in London before he leaves for Edinburgh, Scotland. Earlier, the Chief Minister was accorded a warm welcome on his arrival here. He started his UK visit by paying floral tribute to Dr Bhimrao Ambedkar at his memorial in north London.